Election 2010: Sitting SNP MP Angus Robertson is re-appointed for Moray. 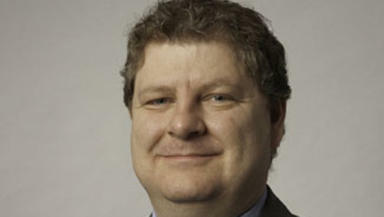 SNP Leader in Westminster and incumbent MP Angus Robertson has been returned to Parliament to represent Moray, an office he has held since 2001. The constituency has been i****ncreasingly Nationalist since Winnie Ewing claimed the seat in 1974. Mr Robertson was born in London and brought up in Edinburgh. He is married. He attended Broughton High School and went on to gain a MA (Hons) in Politics and International Relations at Aberdeen University. After university, Mr Robertson worked as a foreign and diplomatic correspondent in Central Europe for the BBC, Austrian Radio and other broadcasters. Before being elected in 2001, he was the European and International Affairs Adviser to the SNP in the Scottish Parliament. Mr Robertson is currently the SNP spokesman for Defence and Foreign Affairs. He is also a member of the European Scrutiny Committee, Vice-Chairman of the All Party Whisky Group, Vice-Chairman of the All Party Offshore Oil and Gas Group, member of the All Party Fisheries Group and participant in the Parliamentary Armed Forces Scheme.